I don't know about you, but this February was brutal. We had seriously cold weather here in PA and the wind chill was horrific, so needless to say, I stayed in hibernation mode with my books and coffee. If I try hard enough, I think I can remember what the sunshine feels like. On the bright side, all of this cold weather has forced me to get a lot of my reading done and reviews scheduled. Are you ready for March? I have never greeted March with a bigger smile. 1. Favorite Book: The Nightingale by Kristin Hannah - I went into this book with some hesitation, because the last book I read by Hannah left me feeling rather blah, but I was completely blown away by The Nightingale. It's an outstanding book and one of my favorites of the year. 2. Biggest Surprise: Vendetta by Catherine Doyle was my biggest surprise. Like I said in my review, if The Godfather and Romeo and Juliet had a love child, it would be this book. LOVED it! 3. Biggest Disappointment: Better Than Perfect by Melissa Kantor was disappointing. I was expecting so much more and I thought the message of the book was important, but I just couldn't connect with the characters. 4. Favorite Part of February: Valentine's Day weekend with my family was great. Is there anything better than ordering take-out and binge-watching shows on Netflix when there's a snowstorm brewing outside? I think not! 5. Favorite Post: Top Ten Things I Like/Dislike When it Comes to Romance in Books - This post was one of my favorites of the month! Don't forget to enter my giveaway for some newly released YA books and my giveaway for Better Than Perfect as well as the GRAND giveaway for The Secret of Pembrooke Park (including eight books, a Northanger Abbey DVD and a Jane Austen action figure!) and so much more! Happy Friday! This has been a tough winter for you northern folks; whew! I can't even imagine. I'm so thrilled to hear you enjoyed The Nightingale; like you, I was feeling hesitant, but I still tried to get a galley (with no success) to see how it would turn out. I'm very encouraged by your rating and can't wait to read your review! Hope you have a great weekend, Christina! I know, right?! It's not that it has been overly snowy here in PA (last year was far worse) but it's been SOOOOO cold. One of the coldest winters in a long time. UGH. I really liked The Nightingale…one of my faves, so I hope you get to read it, Tara! Thanks for visiting. I am hoping to get back to reading The Nightingale soon. I am almost done with my current book which also takes place during WWII. I'm glad you liked The Winter Sea. It is one of my favorites by Kearsley. I also loved The Shadowy Horses. UGH! 4-8 inches?! We are only expected an inch I think. I am so ready for spring! I can't wait to hear your thoughts on The Nightingale. I hope you enjoy it. I will also have to check out The Shadowy Horses…loved Kearsley's writing style, so I am excited to check out her other books. Thanks for the recommendation and for dropping by, Christina! People are saying great, great things about Vendetta. Arianne loved it too! 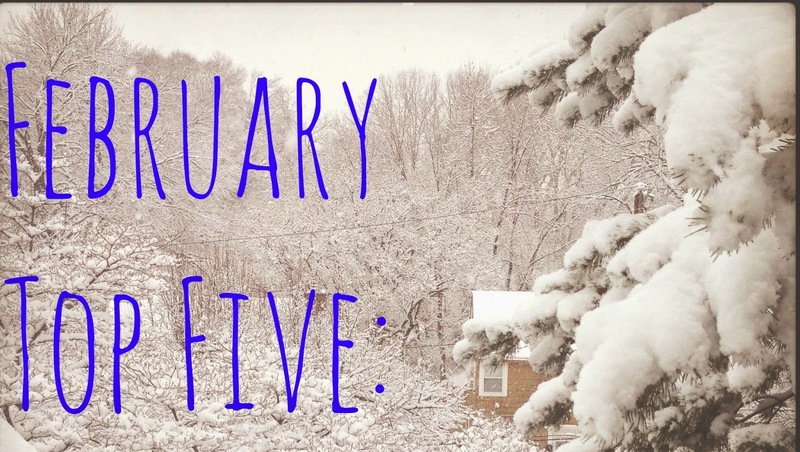 I love the sound of a snowy weekend spent indoors eating lots and binge watching Netflix! We only got a day or two of snow this winter - although it has been very cold! I really enjoyed Vendetta….I hope you get to read it soon! We have had an unseasonably cold winter too. I am so ready for spring! :) Thanks for visiting, Leanna!